Grow to 4-5 feet and 5 feet wide. 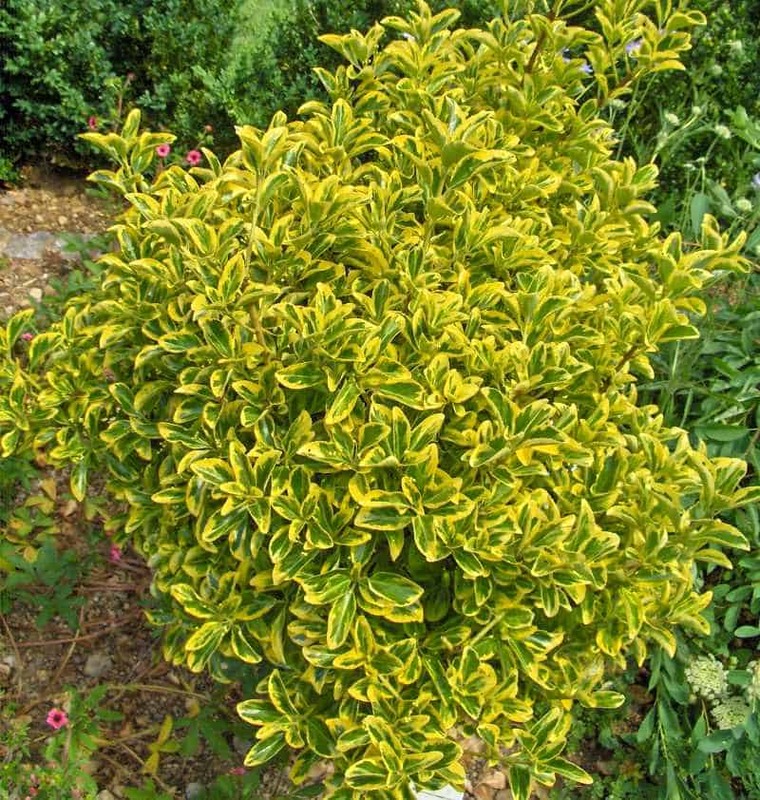 Evergreen shrub with white flowers in early and mid-summer. Can be grouped to form a hedge or screen. Prune at any time to shape and control growth. Fruits are colorful with pink, red, orange, and yellow hulls. Its orange seeds attract birds.